A French press is an essential item for non-dinosaurs who enjoy hot beverages. A press is the perfect device for making flavorful morning coffee or a relaxing cup of tea before bed. So which press should you buy? 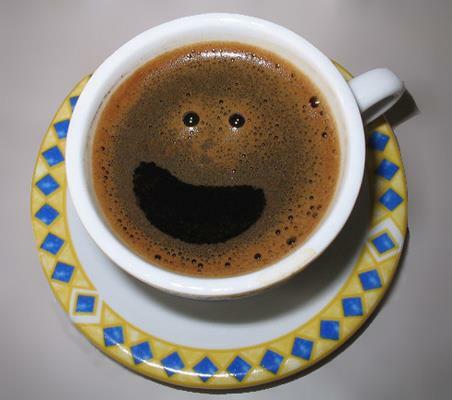 There are a lot of options on the market – Mr.Coffee, Primula, BergHoff – but none as popular as Bodum. Why? I decided to find out. I found that Bodum’s french press does its job well. At only $25.99, it is hard to go wrong. The press is a decent size holding about 8 cups per brew and works well to store your leftovers in the fridge. The press has two parts – the container and the 3 part mesh press – making cleaning a breeze. 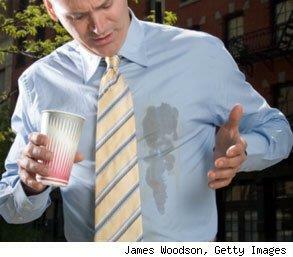 The spout has a nice design that pours your drink straight into the cup without creating a molten splash. The water becomes much more saturated and flavorful when you continuously steep the grounds. This is a major advantage to using a press over standard coffee machines. 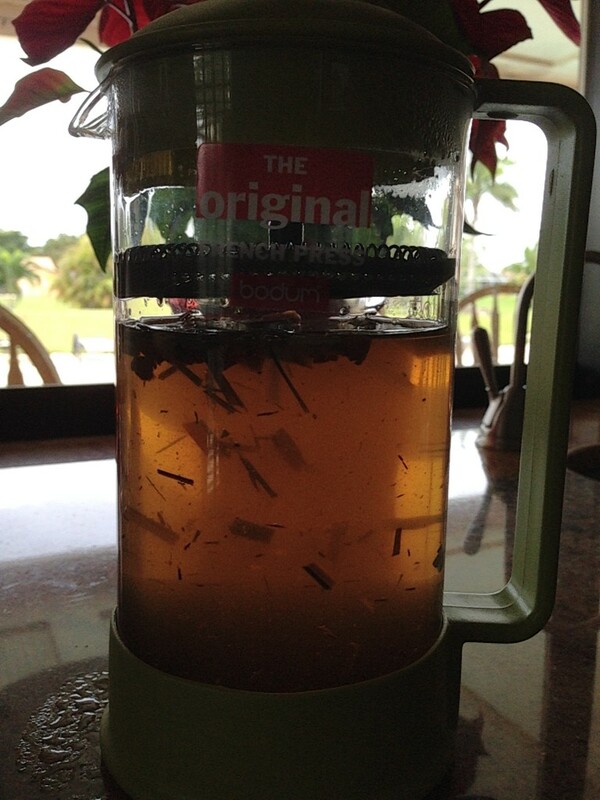 Also when you use loose leaf tea the press looks like a bonafide lava lamp! So this Bodum product might seem to be too good to be true… well not quite. There is a little compartment on the edge of the press that holds said lava water. Sometimes the excess will come out and pour onto your shirt or pants which is uncomfortable to say the least (as our friend from above shows us so kindly). The mesh press also starts building up a bit of resistance over time making it harder to steep. This could be because I like to press mine a lot, but really though, who doesn’t? The pros outweigh the cons here leading to an enjoyable experience. 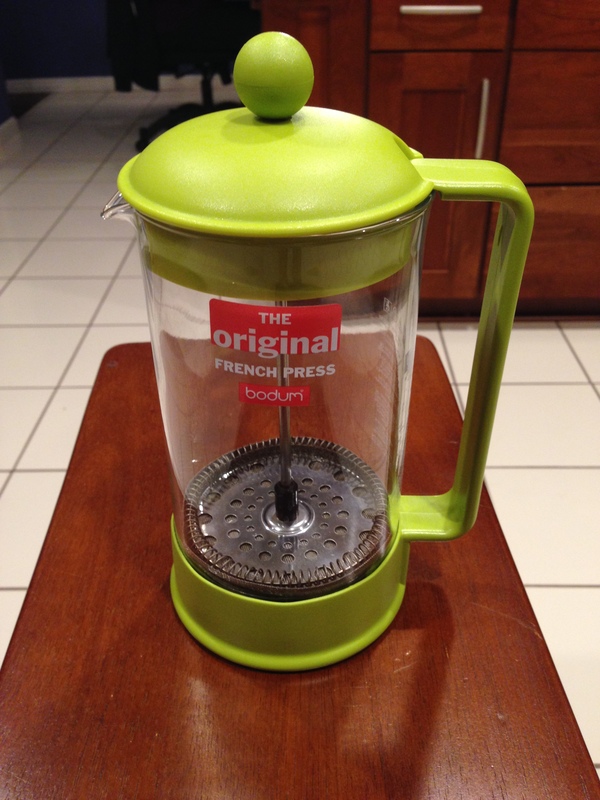 I love my Original French Press by Bodum and Amazon shoppers agree (scoring a 4 star avg from over 854 reviews). I highly recommend this press to anyone who enjoys coffee and tea and also is tired of living in the Stone Age.